The Scout concludes his series pinpointing five players set to prosper in Gameweek 4. The Burnley midfielder remains under the radar in Fantasy Premier League, despite outstanding early-season form. Owned by only 1.1% of managers, Brady has been central to the Clarets' positive start to the campaign. His left-foot deliveries have been key. He has created 10 chances for Sean Dyche's side - no team-mate has managed more than four. Brady dominates set-pieces - successfully finding a team-mate on nine occasions from corners, a Premier League high. But his single assist has come from open play. A slide-rule pass set up Chris Wood (£6.5m) for a debut goal in the 1-1 draw with Tottenham Hotspur in Gameweek 3. Brady can also offer a major goal threat. No other Burnley player has produced more shots than his seven. And with direct free-kicks in his armoury, he has already struck a post in the 3-2 victory at Chelsea in Gameweek 1. Burnley host Crystal Palace in Gameweek 4. Frank de Boer's side have slipped to three defeats, conceding six goals - only West Ham United (10) and Arsenal (eight) have allowed more. Sunday's fixture begins a lengthy run of favourable home matches. Seven of their next eight opponents at Turf Moor score only two in the Fixture Difficulty Rankings (FDR). Forthcoming trips to Liverpool, Everton and Manchester City provide more daunting tests. 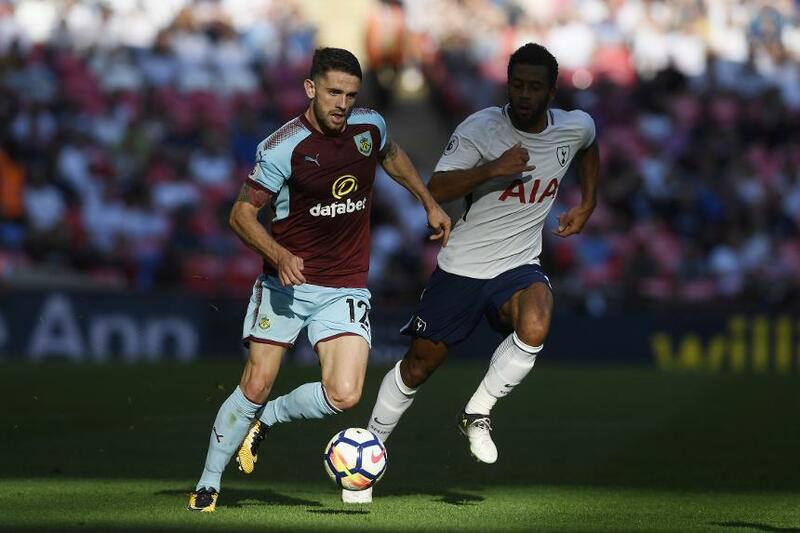 But with four points gained from matches at Chelsea and Spurs, Brady and Burnley have shown that they can prosper against tough opponents. Kindly priced with fixtures and form aligning, Brady's ownership will surely rise if he delivers against the Eagles.